Tesla is allegedly in talks with major record labels, hoping to offer its own streaming music service for owners of vehicles like the Model 3 and Model S —apparently skipping default integration of options like Apple Music, Pandora, or Spotify. The automaker is likely interested in offering multiple tiers, the most basic being a Pandora-style radio option, label sources explained to Recode. 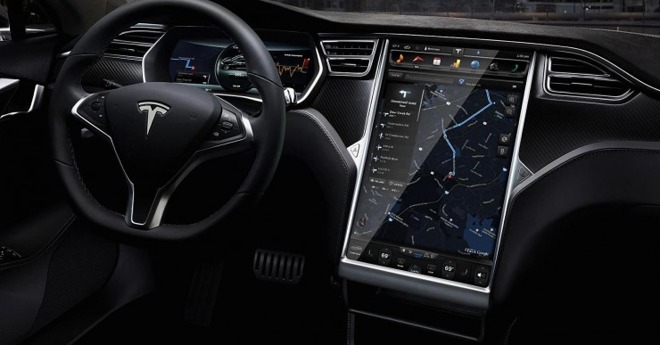 The service would come bundled with each car —a practical option, since Tesla's products have large touchscreen dash interfaces and built-in internet connectivity. Tesla has deflected inquiries. "We believe it's important to have an exceptional in-car experience so our customers can listen to the music they want from whatever source they choose," a spokesperson said. "Our goal is to simply achieve maximum happiness for our customers." The Model S and X already offer some internet radio options, along with Bluetooth and USB connections, but the only integrated app-based service is Spotify, available only outside the U.S. Also missing is compatibility with Apple CarPlay or Android Auto, which would bridge with phone apps. A bundled music service would get around some of these issues, while potentially offering Tesla an extra source of income if people have to pay for ad-free on-demand streaming. The company is also beginning to have the number of drivers needed to support a service —it already has some 400,000 preorders for the Model 3, and has ambitions to compete directly against established brands like Ford and GM. Apple is currently in its own negotiations with record labels, but with the aim of lowering the money it owes for content on Apple Music and iTunes. Higher payments initially helped lure labels and artists to Apple Music.